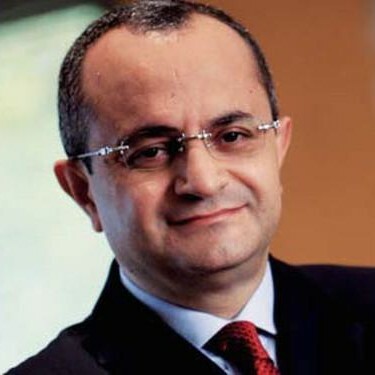 Mr Brahim BENJELLOUN-TOUIMI is the Group Executive Managing Director of BMCE Bank. He is Chairman of the General Management Committee, Vice-Chairman of the Group Executive Committee and Vice-Chairman of the Senior Credit Committee. As part of BMCE Bank Group’s overseas strategy, Mr Brahim BENJELLOUN-TOUIMI is Chairman of BOA Group, a banking group in which BMCE Bank Group has a stake of just under 73% with operations in 19 countries, primarily in sub-Saharan Africa. He is also a Director of the Group’s European banking subsidiaries.As for his other functions, he is either Chairman or Director of a number of Group companies in Morocco in the areas of investment banking, specialised financial services - factoring, consumer credit, leasing and loan recovery - and insurance brokerage. Within the framework of strategic partnerships with benchmark shareholders, Mr BENJELLOUN-TOUIMI is a Director of RMA, an insurance company and FinanceCom, its holding company. He is also Chairman of the Board of EurAfric Information, a technology company and Director of Euro Informationin France, a technology subsidiary of Credit Mutuel Group. TOUIMI is a Director of BMCE Bank Foundation for Education and the Protection of the Environment. He also sits on the Board of Proparco, a development finance institution and is a Director of Casablanca Stock Exchange. Born in 1960, Mr Brahim BENJELLOUN-TOUIMI is a Doctor of Money, Finance and Banking from Université Paris I Pantheon Sorbonne.He began his career in financial markets in France and went on to become Head of Research within the Securities division at one of France’s leading investment banks. He joined BMCE Bank in 1990.